I have choices. I can either accept them or I can change my thoughts and actions. Have you ever met a person that radiates a lot of anger, hate or is inconsiderate to you? They are around us in every situation. They zap your energy. They are filled with negative comments. They try to make you feel guilty. After spending time with them you leave feeling drained of your energy. Well …. I have a choice. I can’t change them but I can change the amount of time that I spend with them, or choose not to be around them at all. I can choose to accept them as they are and create an energetic shift in my relationships. Yes, I have choices! 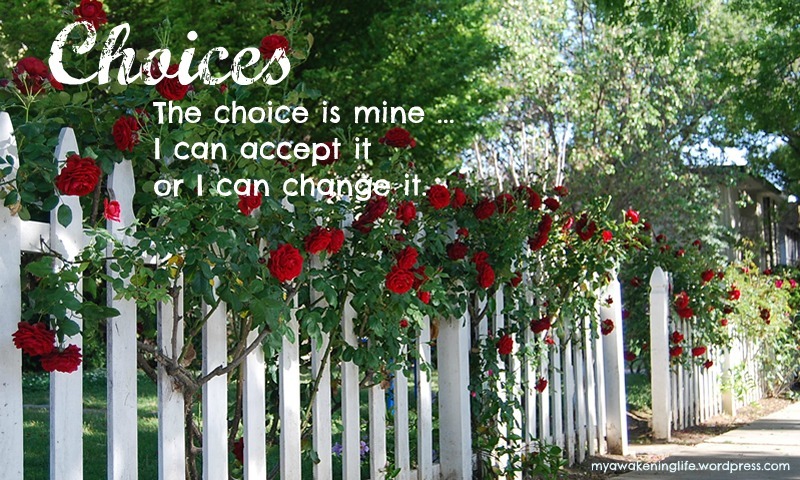 I make those choices when I am centered and present. ← The Journey Continues . . .